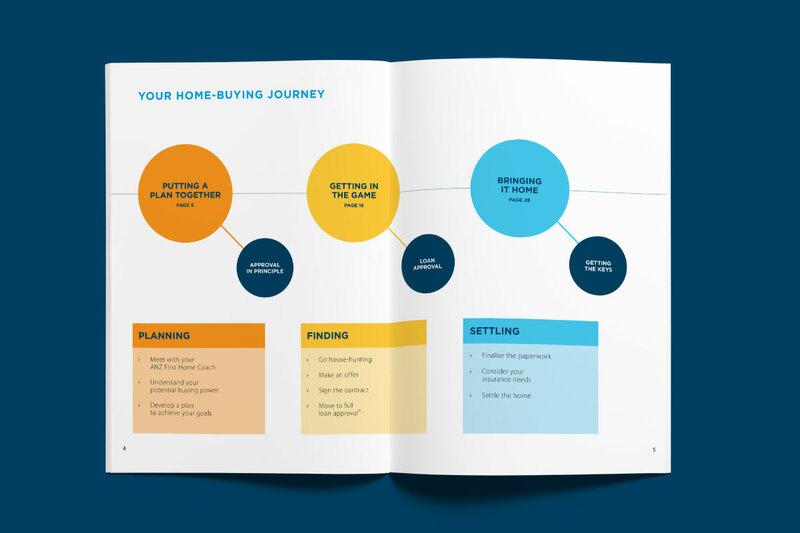 ANZ were launching a new campaign for first-time buyers. 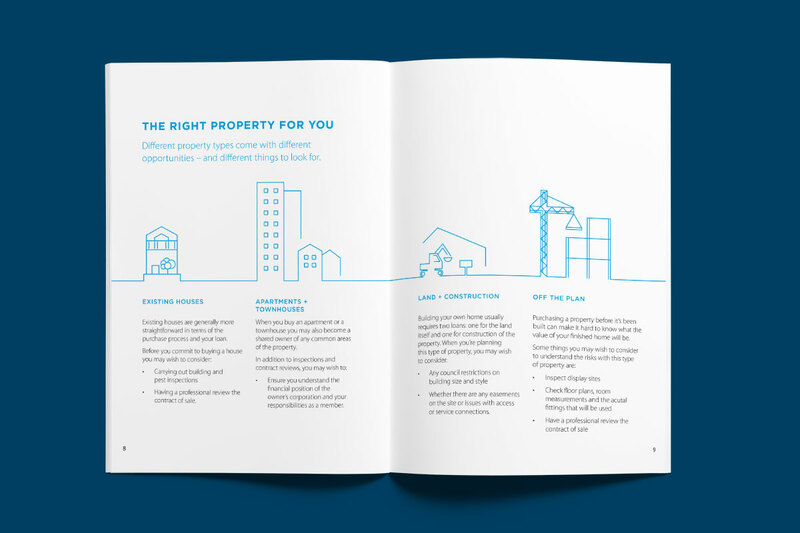 The campaign championed their lenders and the support they provide to people taking their first step onto the property ladder. 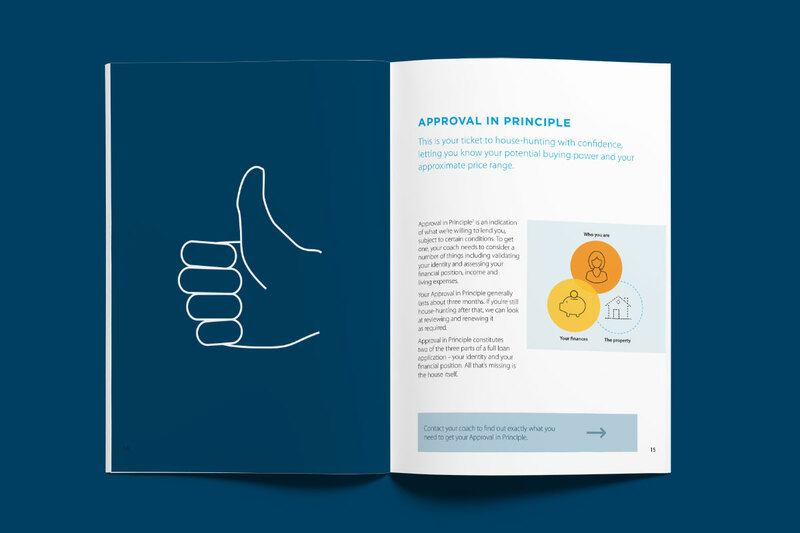 To ensure the lenders delivered on that promise we refined the brand and service experience through a process of research, co-design and rapid prototyping. 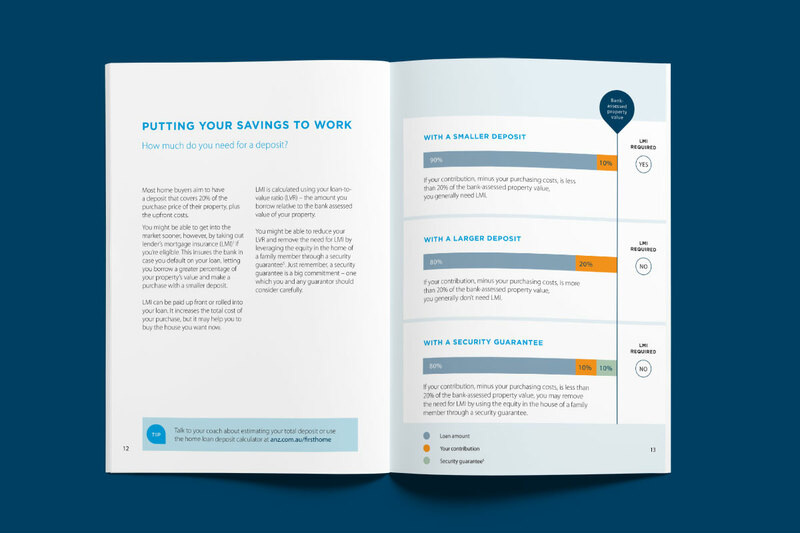 By working closely with both lenders and customers we identified the key pain points and understood how effective preparation and communication can help to avoid them. 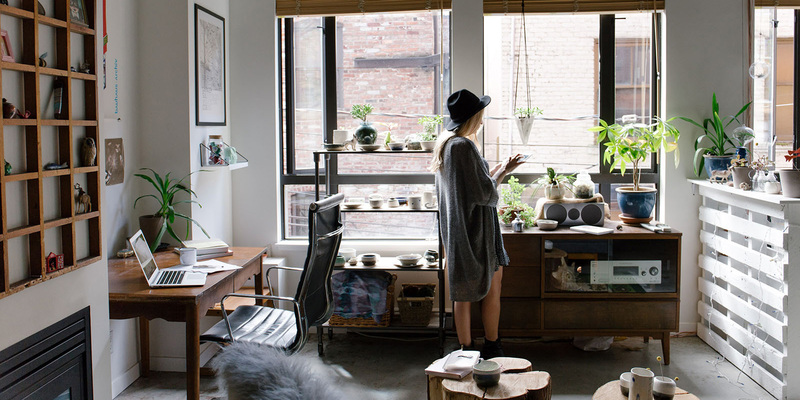 Making the right first impression was essential to developing a good relationship between lender and customer. 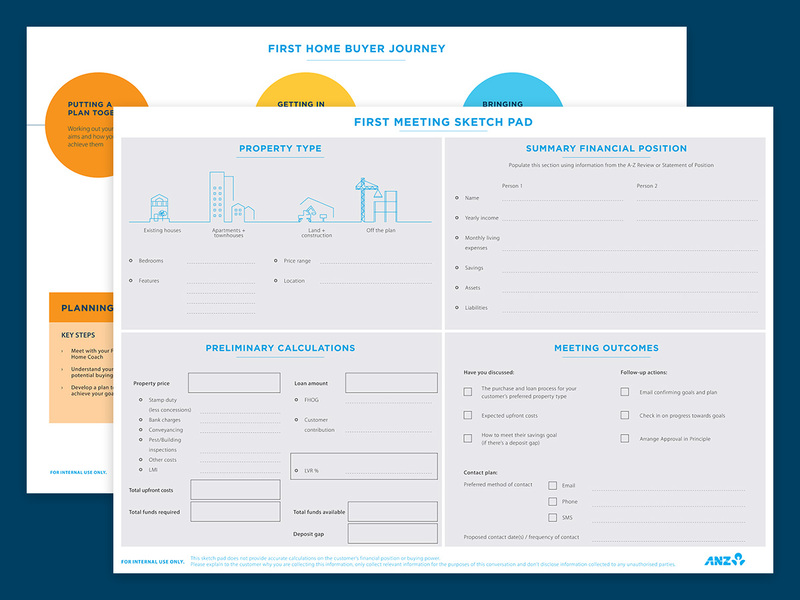 We created assets that guided the first meeting and ensured people understood what they needed to do to get themselves ready to buy. 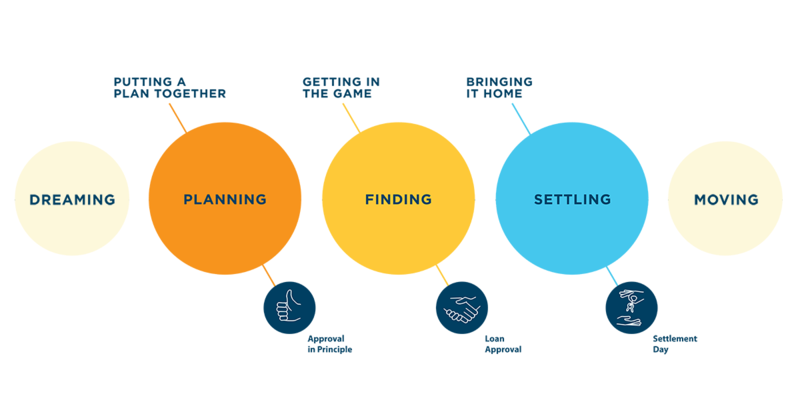 After the first meeting customer's left with a clear plan and a handbook that explained what they should be doing at every step along the journey. 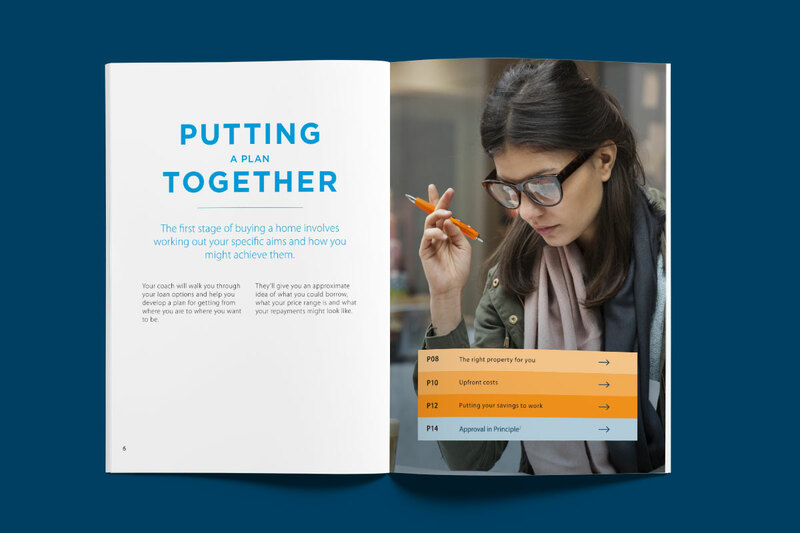 To ensure lenders have the support they need to deliver the new experience we developed a lender playbook, email templates, checklists and an online reference guide. 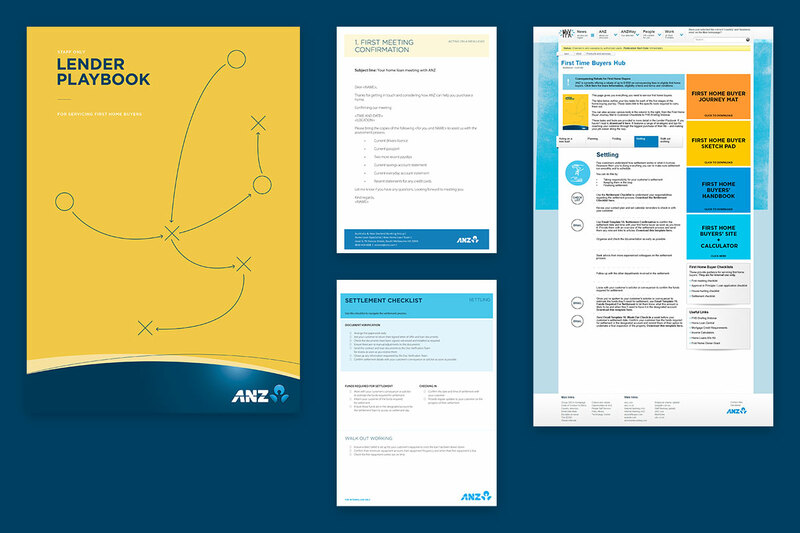 The new tools and materials were rolled out across ANZ's entire network with training sessions for over 2000 lenders. 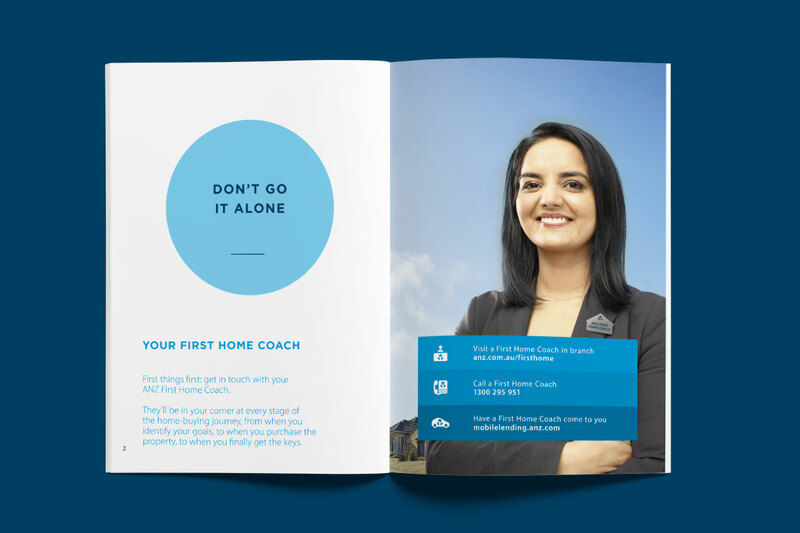 All in time for the spring launch of the First Home Buyer Coach proposition through a national TV and online campaign.